Add a small bead of solder paste along the row of pads. 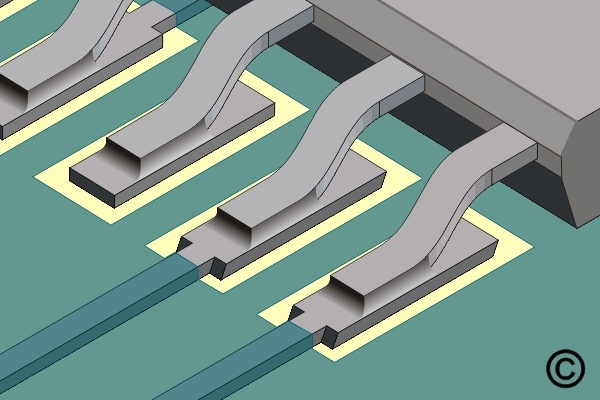 Move the tool back and forth to heat all the solder joints until complete solder melt is observed. 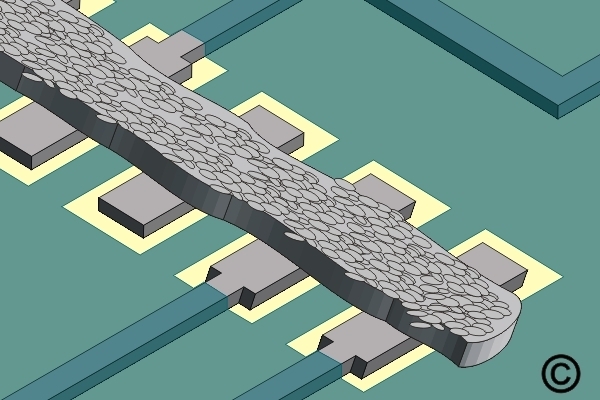 Figure 1: Add a small bead of solder paste along the row of pads. 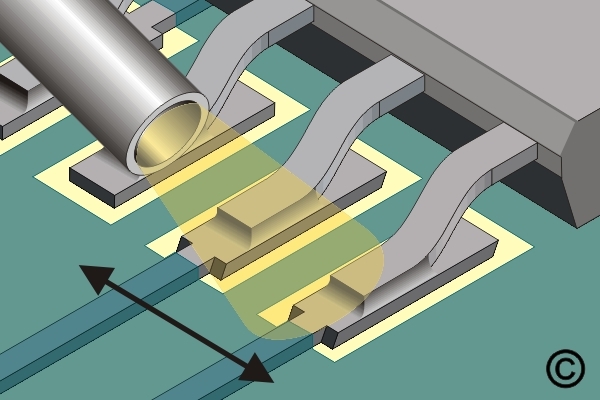 Figure 2: Move the tool back and forth to heat all the solder joints until complete solder melt is observed. Place the component in position. Adjust the pressure and temperature output of the hot air tool. Direct the hot air over the component with the hot air tool tip approximately 2.50 cm (1.00") from the solder joint. This initial heating will pre-dry the solder paste. Solder paste has a dull flat appearance when dried. Remove the tool. Wait a moment for the solder to solidify.